As part of extending their cloud platform reach, recent Amazon Web Services (AWS) announcements include AWS Snowball Edge SBE Converged Cloud Storage Appliance. Snowball Edge (SBE) has evolved from its previous focus as a data transfer, migration platform appliance to now include support for on-prem compute. SBE has previously been available as an appliance that ships from AWS to your location as a service to enable bulk data movement to the public cloud (e.g. AWS Simple Storage Service (S3) bucket). With this new capability, AWS is enabling SBE to support on-prem compute similar to Elastic Cloud Compute (EC2) cloud instances. 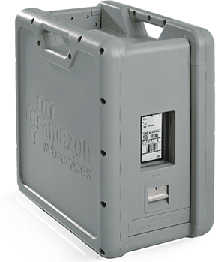 Snowball is a bulk physical data migration appliance that AWS ships to your location. You use Snowball by setting up a copy job with AWS, when the device arrives at your site, set it up, and enable the copy jobs to occur moving data from source to Snowball destination. Once data is copied, you ship the Snowball back to an AWS region and availability zone (AZ) where its contents are copied into a Simple Storage Service (S3) bucket of your choice. Once the copy job into an AWS S3 is complete, AWS performs a secure erase of the Snowball. Basic Snowball includes 10 GbE network connections (RJ45 and SFP+ [fiber or copper]). Security and Encryption includes 256-bit keys that can be managed via AWS Key Management Service (KMS). Note that keys are not sent to or stored on the device for security during transit. For additional protection, tamper-resistant seals are included along with the Trusted Platform Module (TPM) to detect unauthorized hardware, firmware or software changes. End to End tracking is enabled using E ink shipping labels and allow monitoring via AWS Simple Notification Service (SNS). Once your data transfer job completes along with verified, a software erasure of the SBE is performed by AWS following NIST media handling guidelines. For management, SBE has an API for customer integration, as well as the ability to create and manage transfer jobs via the AWS management console. SBE Adapter also gives customers direct access to Snowball where it appears as an S3 endpoint (how you access the storage and data). Network connectivity 10 GbE RJ45 (Cat6), SFP+ (Copper and Optical). Cables include RJ45 and Copper SFP+. For Fiber attached Ethernet, the customer supplies their own SFP+ optical cables. SBE is designed for office environments, as well as data centers (e.g., about 68db) and weigh about 47 pounds. Power requirements include NEMA 5-15p (standard wall outlet) 100-200 volts with power cable included. Note for traditional Snowball deployments an on-prem workstation or server is needed to copy data from source locations to the Snowball device. Referring to the image above, first step to using AWS Snowball (or Snowball Edge) is to place an order via AWS management console (A). Part of the ordering process involves setting up the data transfer job, and in the case of AWS Snowball Edge, defining the EC2 instance and image (read more about that here via AWS). 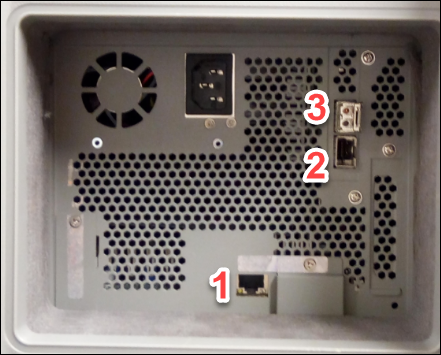 After placing order and setup, the AWS Snowball arrives at your location (B), on-site setup is done and data transfer performed (C). Once data is transferred, the AWS Snowball is returned to designated AWS location via two day shipping (D) and data copied into your specified S3 or Glacier bucket (E). After your data is transferred into the S3 or Glacier bucket you specify as part of the transfer job, you are able to do what you want with your files, folders, images, videos, VHDX’s, VMDK’s, ISO, little data, big data. AWS has enhanced its Snowball Edge (SBE) data mobility, migration, and transport appliance to now also include compute. For those not familiar, Snowball is an appliance that comes in various sizes that you order from AWS, it shows up at your site, and then you copy your data to it for migration into AWS. Once data is copied, you return to AWS where the data then appears in your designated S3 bucket. From your S3 bucket, you can then move the data, files, volumes, images to other locations, use for standing up EC2 compute, populating databases or other items. With the new compute feature, AWS is enabling compute on the snowball edge appliance functioning similar to EC2 instance, except that they are on your site. This means you can use the compute to run your own custom AMI’s (Amazon Machine Image) on site or on-prem in support of data migration, conversion or another process. You can also keep the appliance on-site for as long as you want, granted your credit card gets charged to support development, test, extended migration, or to have a converged, or, hyper-converged platform. Note that with SBE having compute capability, you can now run an EC2 image that functions as your copy server eliminating the need to have a workstation or server on-prem for the copy operation. S3 compatible endpoint along with NFS endpoint (mount point) using both NFS v3 and v4.1. Weighs about 50 pounds, tamper evident seals along with TPM similar to traditional Snowball along with detection of hardware, firmware or software changes. Can exist in an office environment, or data center. Power cables are included, NEMA 5-15p, 100-220 volts, 400 watts. Need something with more capacity than an SBE? AWS has a more extensive version called Snowmobile that supports up to 100PB that is brought to your site via a 45-foot-long tractor-trailer truck. Both SBE and Snowmobile physically move data from your location to an AWS region availability zone (AZ) aka data center where it is placed into the Simple Storage Service (S3) or Glacier bucket of your choice. Once in the S3 or Glacier bucket, you can move the data to where ever you need it. Some people ask why the need for services such as SBE and Snowmobile, or, physically shipping your SSDs, HDD’s, tape or other storage media to a cloud provider in the Internet era of fast networks. The reason can be quite simple; most environments do not have internet connection speeds of 10 GbE or higher that can be dedicated outside of regular use for data movement at scale. Likewise, some public cloud service providers have limitations on the network speed of their front-end general-purpose Internet access. 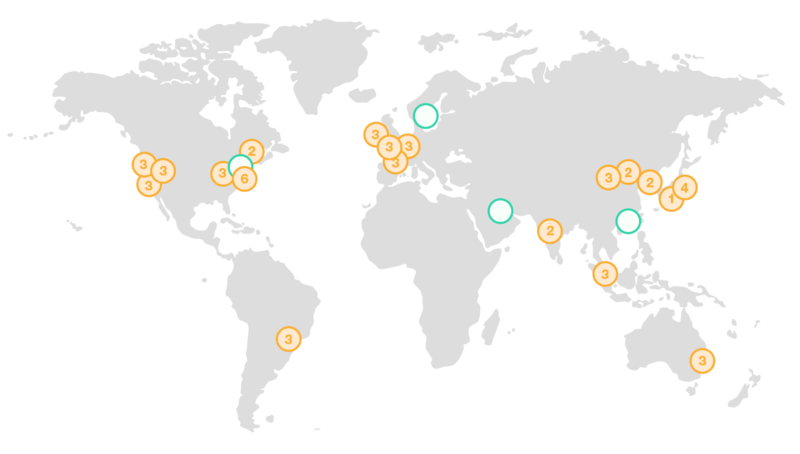 Note that some such as AWS have high-speed, low latency direct connect services from partner staging locations. However, those too may be limited in speed for large bulk transfers. AWS also has other performance-enhanced services for general Internet access including S3 Transfer Acceleration. Note that Microsoft Azure has special connectivity options such as ExpressRoute, while Google Compute Platform (GCP) has Cloud Interconnect. Is AWS SBE and CI, HCI, CiB or Appliance? The answer to the question of if SBE is a Converged Infrastructure (CI), Hyper-Converged Infrastructure (HCI), Cloud in a Box (CiB) or Cloud Appliance depends on your view and definition of those deployment models. Some will argue that SBE is a CI or HCI as well as CiB based on what Cisco, Dell Technologies, HPE, Microsoft (Azure Stack and Windows S2D), NetApp, Nutanix, Pivot3 and VMware vSAN among others offerings. On the other hand, some will argue that SBE is not the same as the above and others give it does not meet the definition of their CI, HCI, CiB or cloud appliance. What is important is not if CI, HCI, CiB or appliance, rather, what it can do, how it can adapt to your environment and work for you vs. you work for it. In other words, what is important is the enablement a solution provides vs. if it is CI, HCI, CIB or something else. Meanwhile watch to see who ignores SBE, who welcomes it to their market space, and who throws mud balls and fud balls at snowball. If all you need is bulk data migration appliance using one of your servers or workstations for smaller amounts of data, traditional Snowball is a good fit. On the other hand, if you need to move more data, leverage SBE enabled on-prem compute with EC2 and Lambda functionality for short, or long-term duration, as well as scale-out to create a cluster, then SBE is for you. SBE is also a good fit for environments that need short-term, as well as the longer-term deployment of compute, storage and network (e.g., converged). For example, factory environments, rugged implementations on ships, energy exploration and processing, traveling venues and sporting events, distributed environments being consolidated among others. Pricing varies based on AWS region you are using for your transfer and management from. Another variable is if you are selecting data transfer only, or, enabling EC2 compute instance on-prem. Yet another pricing variable is how long you will keep the Snowball Edge on-prem. You are given ten (10) free days as part of your data transfer job along with days for shipping and return. Beyond the ten free days, you will pay a daily rate that varies. The longer you keep the SBE on-prem, and for example commit to a one or three-year pre-pay, you will receive larger discounts. Also note that there are no data transfer fees for moving data into AWS. However, standard pricing applies once stored into AWS, or moved. Also note that standard AWS storage charges (e.g. S3, Glacier, along with API calls apply once data is stored). As an example, data transfer only, the service fee for a data transfer job is USD 300 for the US and another non-Asia-Pacific (Singapore). Additional days are $30 each. Another example is selecting data transfer plus EC2 compute instance which varies by region example is $500 for transfer job (US East Northern Virginia or Ohio), $50 a day extra fee. However, if you are will to pay up front for one year, the day fee drops to $42 (varies by region), and to $35 a day for a three commitment. For some environments, it may cost less to buy a server with storage, set it up and manage, while for others, the simplicity of a turnkey converged platform may be more cost-effective along with better value. Learn more about AWS Snowball Edge pricing here. Has AWS embraced hybrid public cloud and on-prem computing? IMHO while AWS is making it easier for environments to use, access as well as move to public cloud, they are still focused on the public cloud as the destination. In other words, AWS is making it easy to move your data and applications to their services as well as access them with AWS Snowball Edge SBE Converged Cloud Storage Appliance.